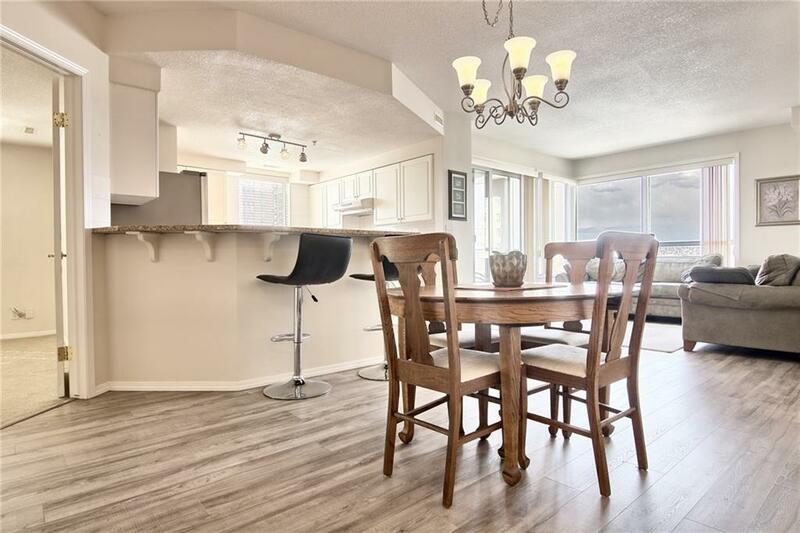 Check out this terrific condo in Vista West on downtown's West End just around the corner from the Downtown-West Kerby LRT station & only minutes to Bow River pathways & Shaw Millennium Park. 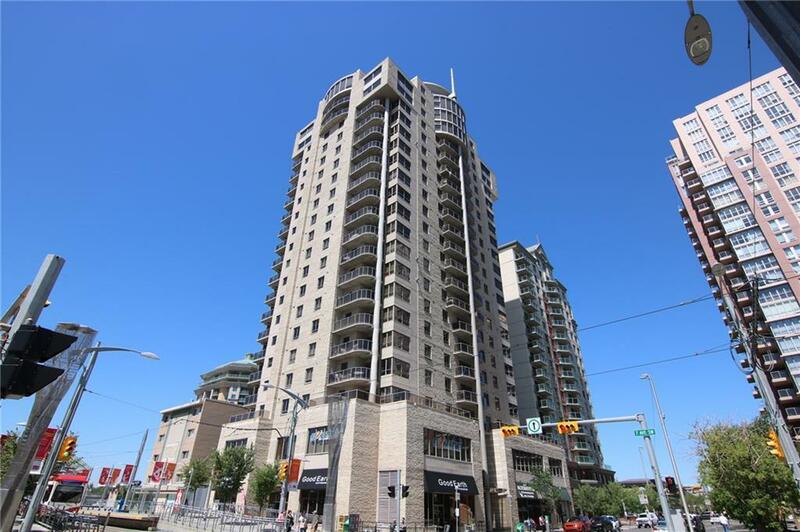 This spacious 8th floor unit on the Southwest corner of this 22-storey air-conditioned high-rise features newer carpets & laminate floors, 2 balconies & rare 3 bedrooms & 3 full baths! 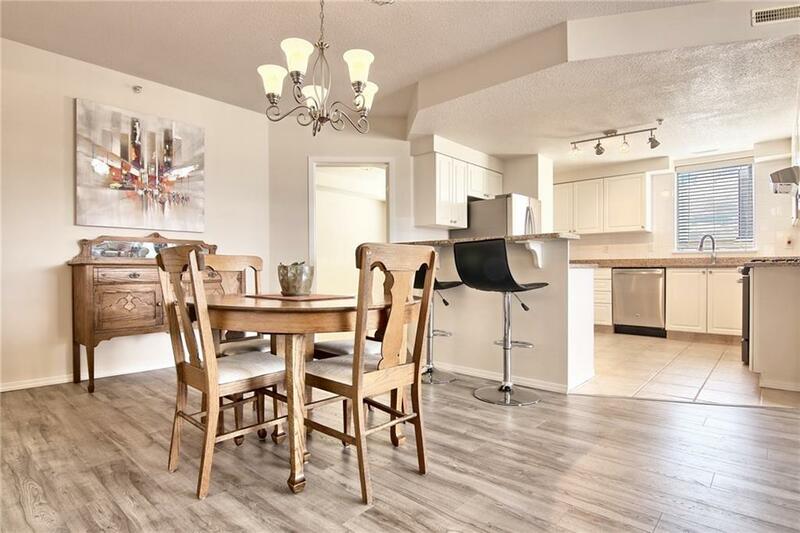 Light & airy floorplan with inviting living room with balcony, open concept dining room & updated white kitchen with quartz counters & stainless steel appliances which includes gas stove. 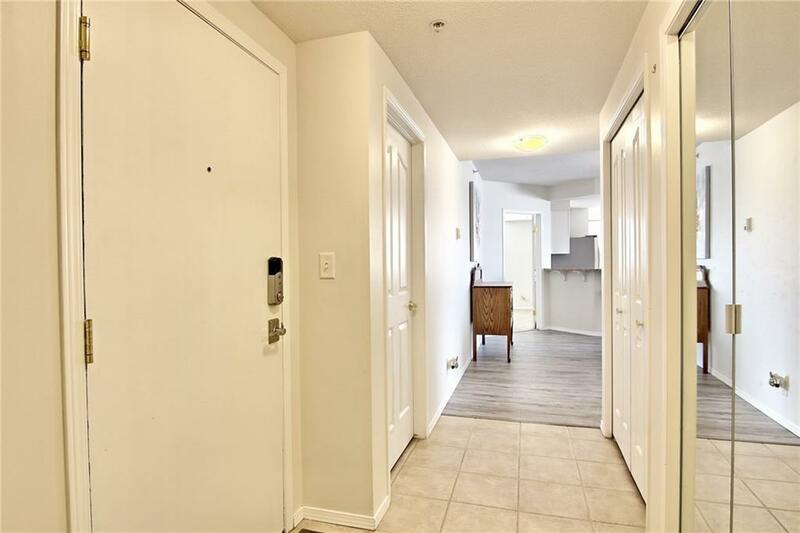 Huge master bedroom with private balcony & large walk-in closet plus full ensuite with adjoining insuite laundry. The 2nd bedroom has walk-thru closet & ensuite with walk-in shower, & another full bath is next to the 3rd bedroom.